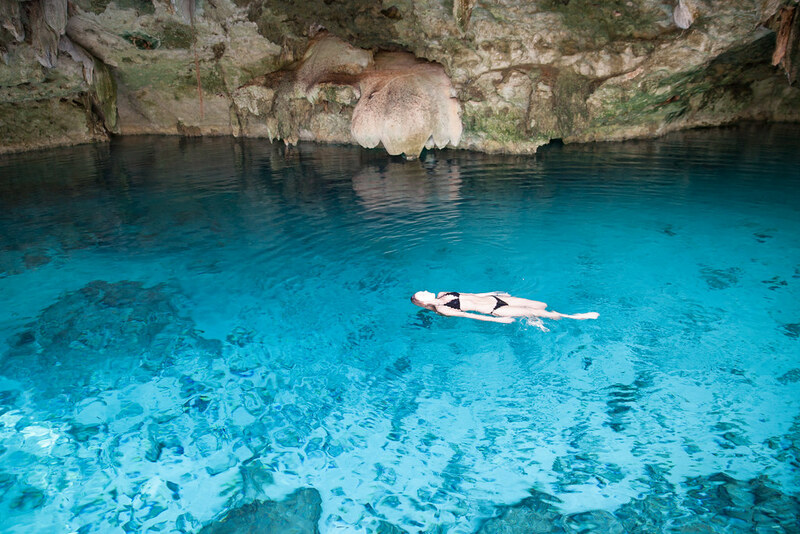 If you want to escape Mexico’s beautiful yet overcrowded beaches, I’d recommend venturing to the county’s secret cenotes. You may have to climb through jungles to reach them but ahead awaits jade-hued pools covered in water lilies and framed by tropical trees. Swimming in natural pools as beautiful as these is an experience not to be missed. 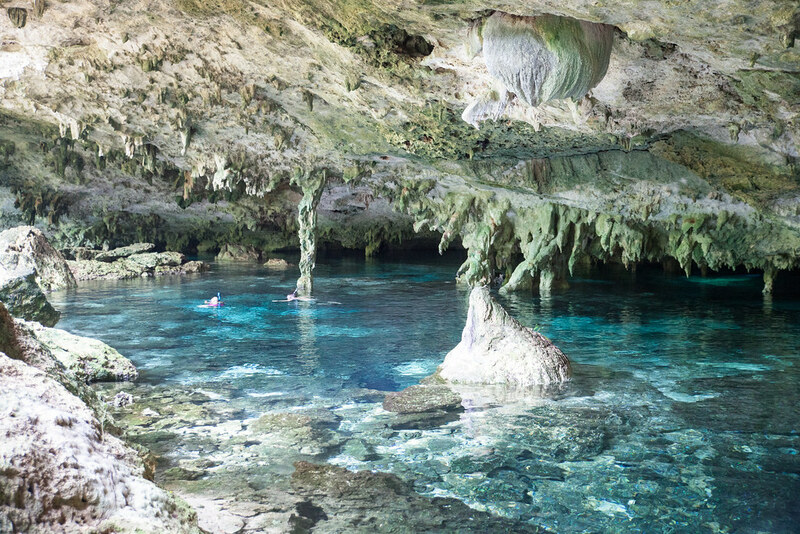 There are endless cenotes to be uncovered along the Yucatán Peninsula, but here is our guide to the best among them. Cenote Yokdzonot a secret cenote located a short drive from Chichén Itzá. 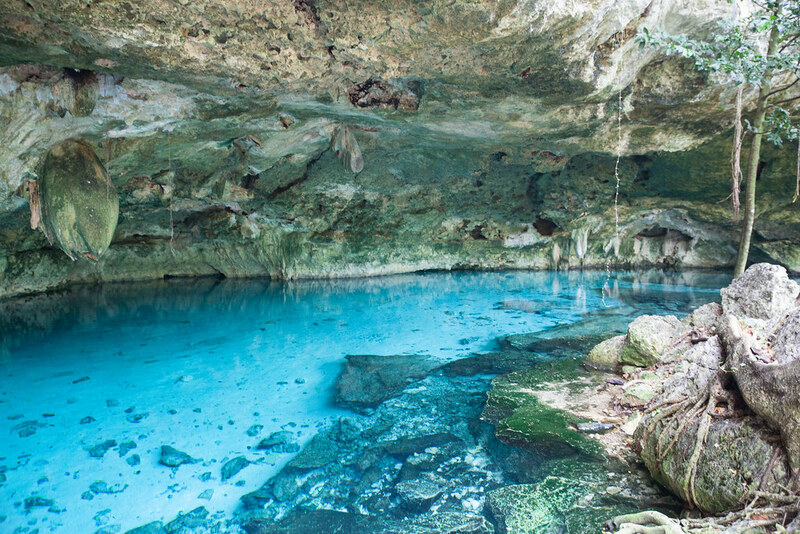 Visit this hidden cenote to swim in privacy among coloured fish, jungle vines and hummingbirds. 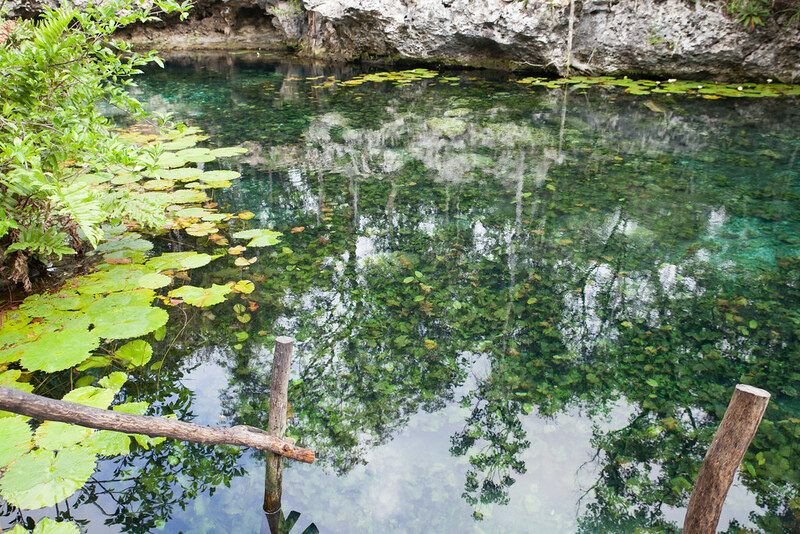 Nicte-Ha an open-air cenote close to Tulum with the clearest green waters and beautiful lily pads covering the surface. Cenote Dos Ojos an underground cave made up of two pools of clear blue water. 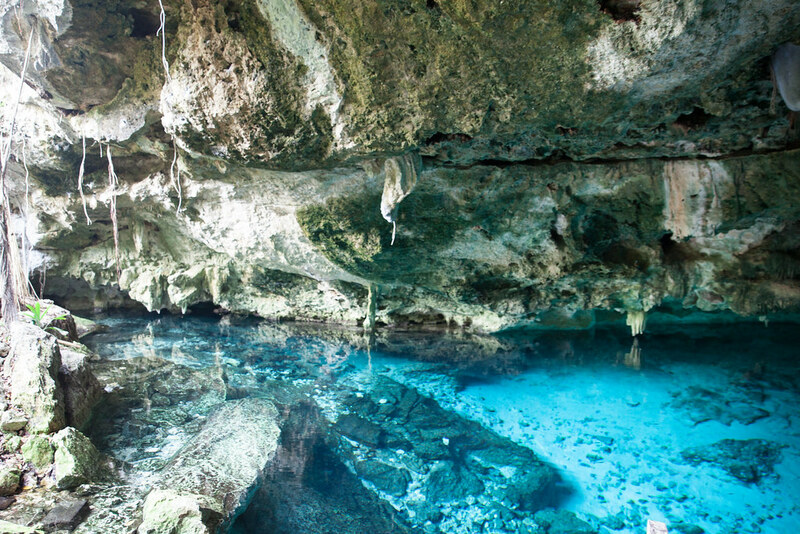 Visit this popular cenote for the best snorkelling and scuba diving. 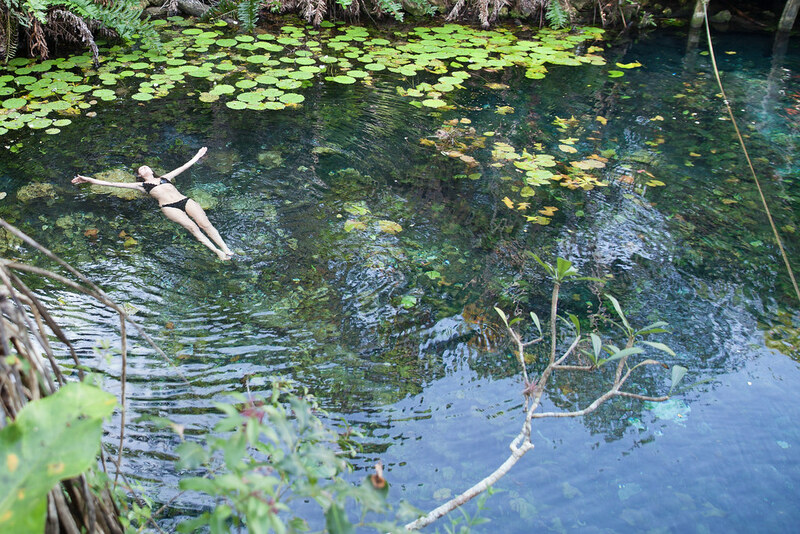 Ik Kil Cenote an open-air natural pool with vines and greenery bordering the opening. Make sure you jump off the limestone carved platforms into the deep water below. Cenote Samula a beautiful enclosed cenote where natural light pours in through the opening and stalactites hang overhead. 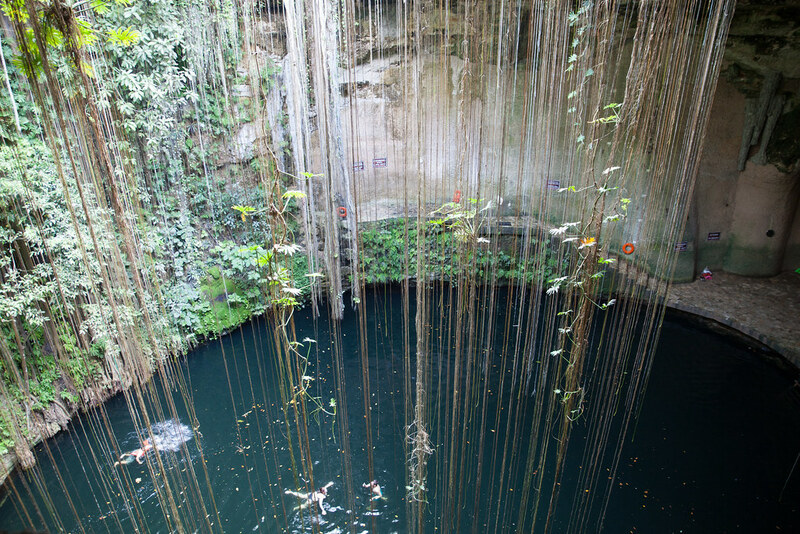 Beautiful, I went to a cenote somewhere around Chichen Itza, I don’t remember the name but it was beautiful. It was deep in this cave and the water was crystal clear blue and just amazing. This looks so beautiful! I want holidays!!! Visiting the cenotes is high on my bucket list!! I unfortunately don’t know how to swim..but I’d love to learn just for this.